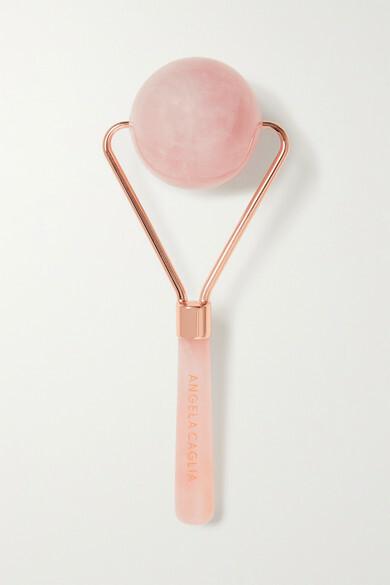 Angela Caglia's deluxe-sized face roller is crafted from smooth rose quartz - a stone renowned for its centuries-old skin nourishing properties and healing energy. This limited edition tool relaxes muscles, encourages cell metabolism, relieves sinus pressure and even reduces dark circles and puffiness. Simply glide it in an outward direction for lymphatic drainage or pair it with your favorite serum. Store yours in the refrigerator for an ultra cooling effect.